Used Archicad for my dissertation. In the process of completing this I constructed a model from one of the very intuitive Archicads Training volumes. I then did the same with another leading Architectural suite. My aim was to explore how the models preformed when being transferred between platforms. 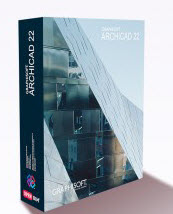 I found Archicad outperformed the other proprietary software.